At the time I enlisted, I answered the question of religion with Roman Catholic, that was the religion I was brought up in. Then I was not a religious person, but the one thing I strongly believed in was the commandment “thou shalt not kill”. Little did I know that personal issue would soon be tested. Women were dropping out of basic left and right…tired, scared, just waiting for the next shoe to drop. For me that shoe would be the firing range. I thought since I had signed up for the medical corps that I would not have to face any combat issues; maybe I was naïve. Then the exercise to qualify on the M16 rifle came up. I asked my platoon sergeant if this was a mistake; I was to be medical; no guns needed – I was wrong, I had to qualify or not graduate. This was a moral question for me, so I went to the church for advice. The priest was sympathetic, but said there was nothing he could do. He encouraged me to pray on the issue, but if I wanted to stay in the military I would have to shoot. The priest went with me to the shooting range as support; and guess what, he stayed with me through the shoot! Obviously I qualified, but a stigma was placed on me for the so called “stunt” I pulled. It was not a “stunt”; I was standing up for a moral issue and it was hard, but sometimes you just have to take the heat for what you believe. The basic training saga did not end here. I wish I could say that military life is a breeze, but it’s not. Yet this life can be exciting and a great learning experience! This is what I want to share with all of you. So keep having fun, but also make the most of the experience, the good and bad. I hope you come back and remember, stay strong!! My name is Doris Rivas-Brekke. I served in the U.S. Army as a mental health counselor in the medical corps. Using my military benefits I went on to achieve my Bachelor of Arts in Psychology. I am currently creative director for Military Mom Talk Radio and share my story with you to inspire you and the women following in my military footsteps. In the course of my career and my time on the radio, I have met a lot of leaders. I have met a lot of celebrities and people of interest. Some are terrific. Some not so much. Who are the ones that are memorable? Who are the ones who touched my heart and win my respect? Those who achieve greatness but don’t forget to see the lighter side of themselves and their career. What we do is not who we are. I meet people every single day who wear their job on their chest pounding that this is what I do! This is who I am! I am going to ask you today who are you? Are you a soldier? Are you a mother? Are you a wife or a girlfriend? Just who are you? I invite you to embrace all of these sides of yourself. I invite you to see yourself as a many faceted diamond who brilliantly sparkles in the light. I invite you to remember that you once used to be a dumpy lump of coal before you became the magnificent gem. I was on a date recently with a handsome Navy commander. I was so nervous and I felt all giddy in his presence. When I went to get out of the car, my foot tangled in the straps of my purse and I literally fell out of the car onto the blacktop. My hands and knees were covered in little stones and black soot. I started to giggle thinking of my mom’s childhood story about the little Cinder girl. This was not who I wanted to present to the Commander. I looked up at the hand he offered. I was not this successful dynamic single mom on the radio. He wasn’t in command of anything other than the search and rescue of my handbag and scraped knee. We were just two people going out for pizza laughing at the tumble I took in public. And you know what? That was okay…Cuz we all take tumbles in public and we just need to shake off the stones and keep going. 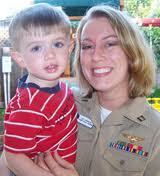 Sandra Beck is the host of Military Mom Talk Radio and the single mother of two boys ages 5 and 8. She is an author, internet brand strategist and speaker. She has worked with the United States Navy, Marine Corps and Army for over 20 years and is passionate about helping women lead their families successfully the specific challenges of military life. Shining Service Worldwide supports all women connected to the Military Family. One of the things I have noticed in my practice, especially with those returning home from deployment is the desire to jump back into the mix of home life while still carrying the effects of deployment. These effects can range from memories, to feelings, to thoughts and to fears. It’s a huge adjustment moving from one completely different reality to another. Something that many service members and their families realize, but don’t recognize the profound effects it can have on all parties. So for today as you are reading this, I want to invite you for a moment or two to set down your burdens. Release yourself from the thoughts of your past deployment. Release yourself from the thoughts of your current family situation. Just give every worry, every care, every feeling over to the universe for a while. Inhale deeply a few times and just listen to the sound of your own breathing. It’s in these moments that we find peace and we begin to heal ourselves from the inside out. Taking a break from our problems can help distance us from the emotions that contribute to the all too familiar feelings over overwhelm. If you pause in your busy day, make a space for yourself to just be, hand over your worries for a while, you can begin making a plan for peace. Harvesting Happiness with Lisa Cypers Kamen. If you are looking for how to become a happier person, tune in weekly at www.toginet.com Wednesday’s at 12:00 pm to 1:00 pm EST. 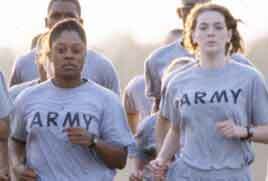 When it comes to the military’s basic training, you know that you are going to be physically tested. I was fit, a runner, so how bad could it be?? Pretty bad…they called it “PT”, physical training and it wasAlabama, hot and muggy! Looking back, PT would not have been so bad if that is all we had to do; kind of like a “spa” , but it wasn’t. Each day began at dawn with loud bugle music, minutes to dress, roll call, classes and work chores. Worst of all was the physical training, yet everything seemed possible until I met “the Wall”. The wall was eight to ten feet high, but it might as well have been twenty feet because I could not get over it. This was one of the tests that you had to pass or you didn’t graduate. I had to figure out how to get over the wall. There was only a handful of us that could not get over that wall. We were told to practice after work, but these girls wanted to fail, get thrown out of the military, except for me. So for days I practiced alone, frustrated and hurt from banging my body against the wall . Then one evening, I jumped, got my right leg up to the top edge of the wall, enough to lift my body up and over the wall! I had figured the code! I was so joyous, yet sad no one saw me make it. But after a brief cheer, I went back to the beginning of the course and hit the wall up and over again and again until dark. This time I knew I had mastered this test! I learned about perseverance that day. Ladies, you need to hold that word “perseverance” close to your heart throughout your military career. Remember “perseverance”. Come back and read about my next test on the rifle range and the ethical questions involved in shooting a weapon…Remember, I am with you, so have fun and stay strong ! 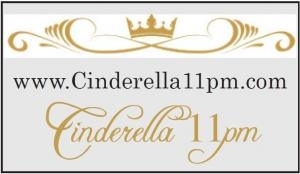 The lucky winners of Amazon gift cards valued at $100 each will be given away at www.cinderella11pm.com and announced on the air at www.militarymomtalkradio.com. The contest started on Monday October 17 and ends on Monday October 24th. Winners will be announced on Military Mom Talk Radio on October 31st. There is no cost to win. Simply head to www.cinderella11pm.com and answer a simple question – what are you grateful for? Winners will be selected in a random drawing. Military Mom Talk Radiois co-hosted by Sandra Beck and Robin Boyd. When I was writing the title to this blog post I was thinking to myself could it get anymore cheese ball than this? I’m starting to sound like my mother. But I realized today that she was right and most of those hokey dokey sayings have a lot of truth to them. Recently I have gone through separation, divorce, death, foreclosure, custody battles and a financial upheaval in my company. Most of these things were out of my control and I had to take a step back and think about how I wanted to show up in my life. I ran away from home one weekend when my ex had the kids. I drove 6 hours to the Grand Canyon and I sat on the edge looking at the vibrant layers of earth carved out over millions of years. Relax I wasn’t going to jump, but I sat there thinking how tiny and insignificant I am, but my problems could fill up the great ravine. A tour bus pulled up and dumped out a bunch of women. Being me I sat there and eavesdropped on their conversation. Polite no. Interesting yes. The women who should have been rejoicing in the magnificent beauty were bitching about their ex’s. They were bitter, nasty, funny, sad and missing the whole point of the Grand Canyon. I also noticed a lot of them were quite rude to the male bus driver. He was taking one not just for the team but the entire male species from what I could see. I thought about myself and how I felt. Sure I was bitter, nasty, funny, sad and missing the whole point of life some days, but I had a choice on how I was going to treat people around me. At that point my life was in the “shitter” as my dad would say, but I realized that when I just treated people with kindness despite my inner turmoil and fear life was easier. So my advice today despite all you are going through is just be kind – to yourselves and others around you. Unless it’s your ex and then feel free to fire at will…kidding! Am I???? 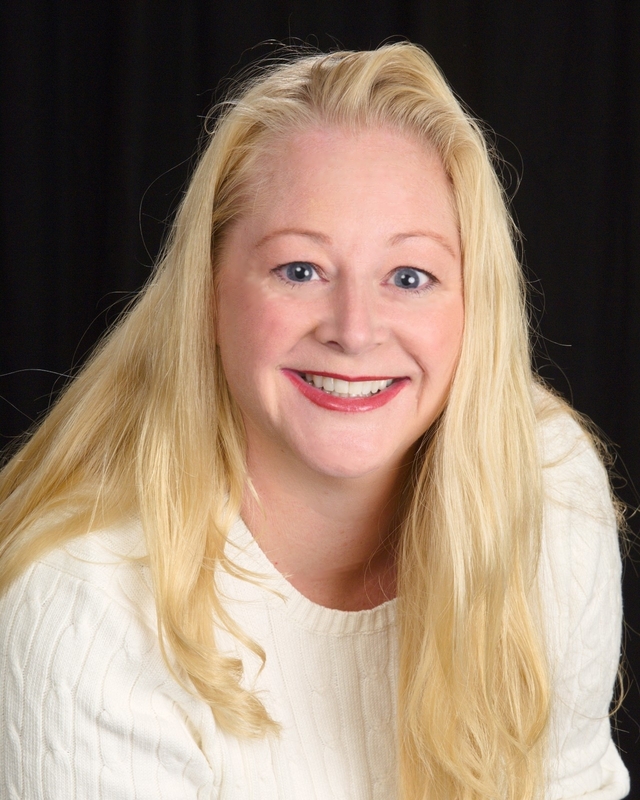 Sandra Beck is the host of Military Mom Talk Radio and the single mother of two boys ages 5 and 8. She is an author, internet brand strategist and speaker. She has worked with the United States Navy, Marine Corps and Army for over 20 years and is passionate about helping women lead their families successfully the specific challenges of military life. Sandra Beck is a regular contributor for Shining Service Worldwide. I am an Army Brat, sister to a Jar Head and a Squid, and I know that Weekend Warriors are anything but… I also served in a NROTC Unit and was proud to be promoted to Unit Corpsman, Platoon Leader, CO’s Honor Rolla and Top Female Midshipman during my first year with 300+ Navy and Marine brothers and sisters. You might say I was raised by the military. We didn’t leave, we moved out. Before I could read, I could bark out my SSN. I knew how to march before the other kids learned in band, I knew gun safety and didn’t freak out if I saw a grenade or rocket launcher, not to mention I knew my place in the grand chain-of-command of life. My name is Michelle Heck-Wiginton and I am the second oldest of six kids. My mom was a frugal person, who had to manage a household of eight on a single salary. I don’t know how she did it, but she has said many, many times that she wished she would have had something like Just Between Friends to help out when we were young. What’s Just Between Friends (JBF), you ask? It’s the nation’s largest children’s consignment sales event franchise and that is just a long explanation of how moms can make and save significantly on the things their growing families need each season. I coordinate several JBF events in Missouri, one on-base at Fort Leonard Wood, where hundreds to thousands of local moms gather their outgrown and unused items and tag them at home using our easy, online tagging system. Right before each sale, usually in the spring and fall, these moms drop-off their tagged items at a large venue in town and volunteers inspect and then help stock the sales floor. There is a pre-sale for volunteers and consignors, which allows them to shop before the sale is open to the public. Then, anyone can come and shop…and shop they do! Moms who sell their items make up to 65% on their sold items, 70% if they volunteer at the event. Shoppers are able to shop quality name brand items at 50%-90% off retail. Each sale also works with a local children’s charity to donate desirable items to area families in need. I donate to Operation Homefront Missouri through three of my sales. Military moms who need to pack light, buy new at their next duty station, or find themselves on a tight budget with a growing family will love Just Between Friends. JBF is a different kind of green community event and moms find the green they make and save to be well worth their time. Too, JBF events are a great place to meet other local military moms and create lasting friendships that can be lifesaver to any woman. To find the JBF sales event closest to you, please go to www.jbfsale.com. 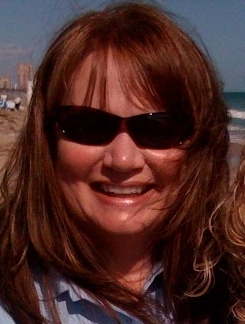 Michelle Wiginton has a BA in Journalism/Mass Communications and a Master’s degree in International Human Relations. She owns three Just Between Friends franchises in Missouri, is a wife to a retired OK State Trooper and mom to three grown boys. Shining Service Worldwide supports all women that are part of our great military family.